Welcome to our branch website. The Ludlow Hunt Branch was established in 1929 and is part of Pony Club Area 7. Whether you are already a member or are considering joining you will find lots of information here about the branch. 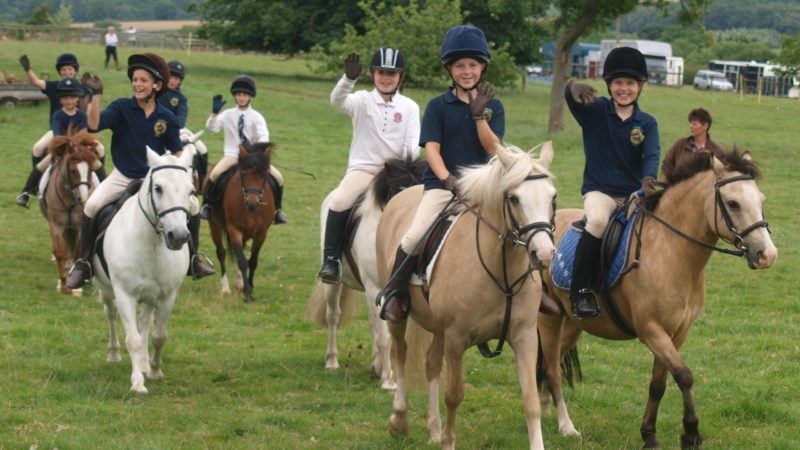 The Ludlow Hunt Branch is a thriving branch of the Pony Club. In recent years our membership has grown to around 130 members and continues to grow which is very exciting for everyone involved. We organise a variety of Rallies throughout the year concentrating on the basic skills of flat work, show jumping and cross-country riding as well as tetrathlon training, mounted games training and pony racing. The branch tries to cater for all interests and is always open to suggestions. Each year we run several Competitions including Tetrathlon, Hunter Trials and Show Jumping Competitions as well as a successful Fun Ride. Camps are always popular and we hold a non-residential 3-day Junior camp for under 11’s at Kyre, and a joint Intermediate & Senior 4-day residential camp at Lincomb Equestrian Centre. Each year we have a different theme, last year being Dressage to Music and this year it is Racing. Have a browse through our site for further information and please contact us if you have any queries. You will find information about our seasonal programmes in the Current Programme section and other items such as Competition Results on the Results page.